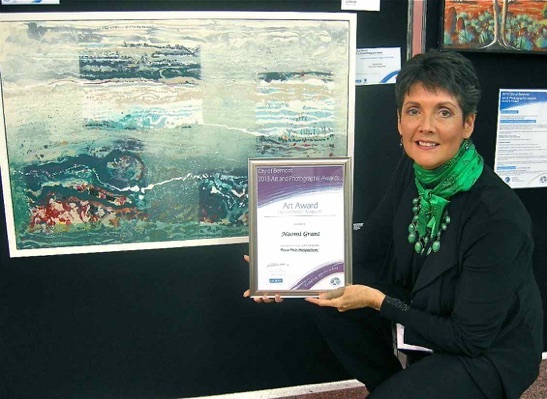 City of Blacktown Art Awards Indigenous section 2017. 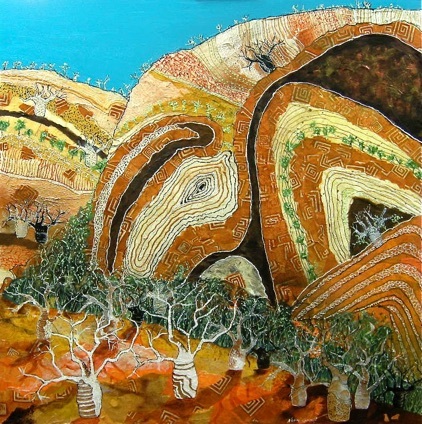 Naomi Grant with her painting “Stripping the land”. 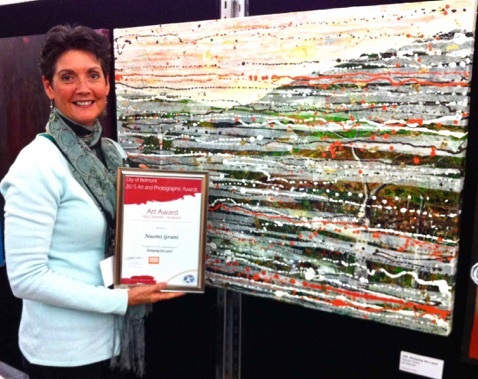 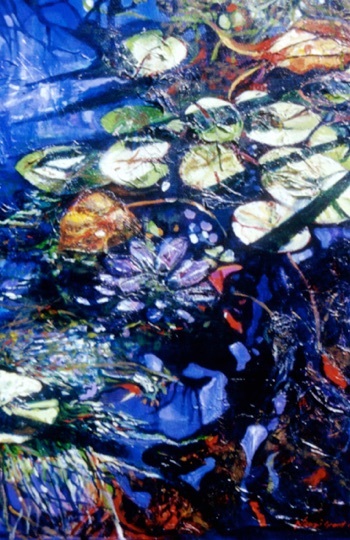 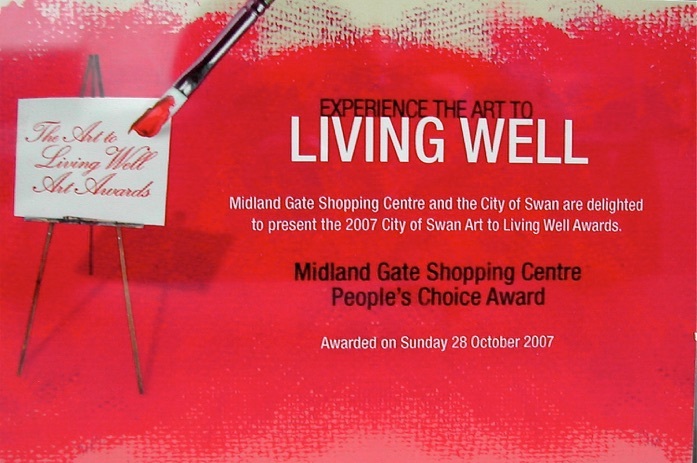 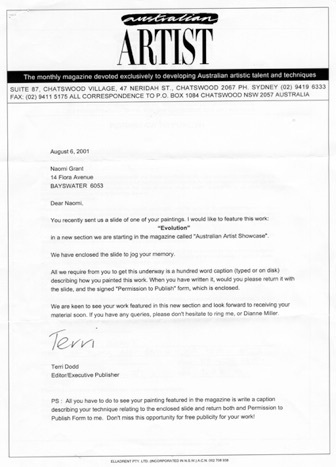 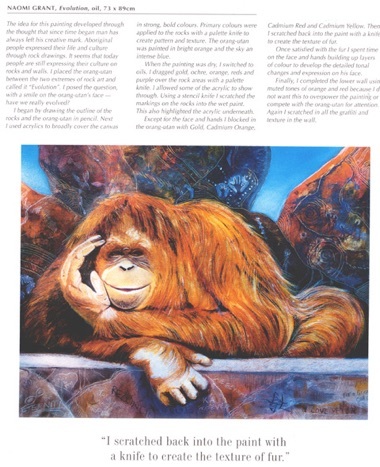 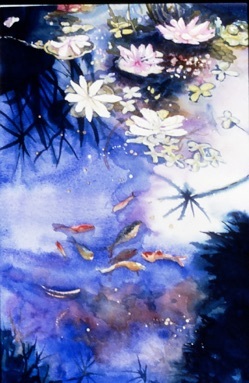 Highly Commended, sponsored by Perth Airport at the City of Belmont Art Awards 2015. 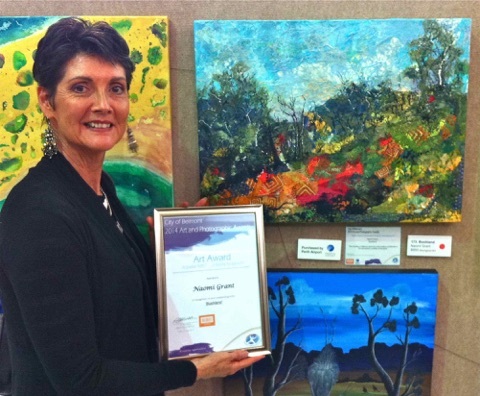 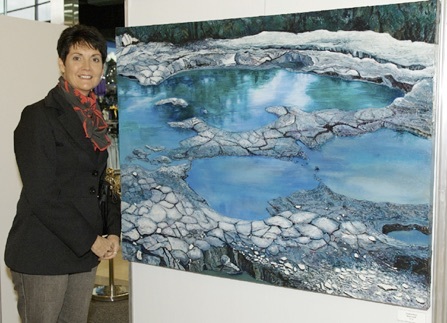 Naomi Grant with her painting “Bushland”. 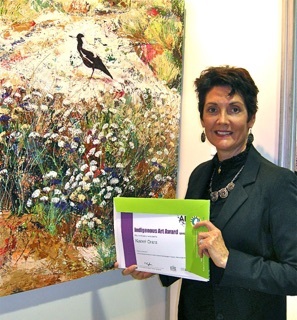 Winner of the Indigenous Art Award, sponsored by Perth Airport at the City of Belmont Art Awards 2014. 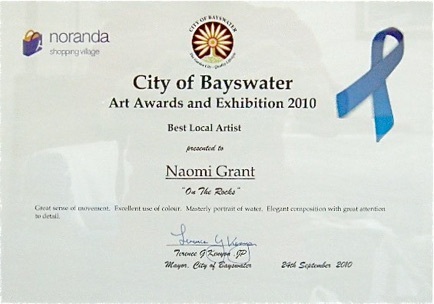 Naomi Grant with a Highly Commended Award for her painting “Flood Plain Perspectives” at the City of Belmont Art Awards 2013. 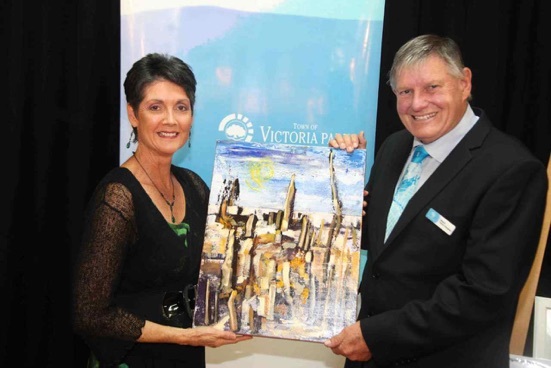 Naomi Grant was this years’ winner of the City of Victoria Park Best Indigenous Art Awards section for 2012. 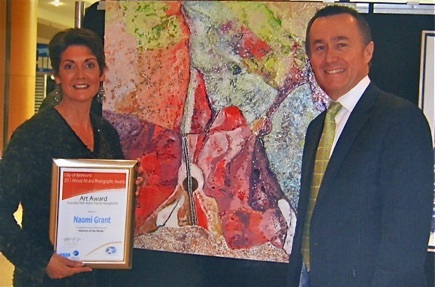 Pictured is Naomi, alongside the Mayor Mr Trevor Vaughan and the award-winning painting “The Pinnacles”. 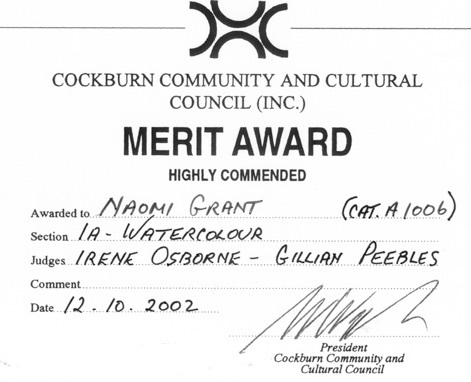 This award was generously sponsored by John Garoza. 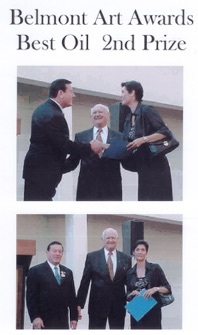 Photo courtesy of the Town of Vic Park. 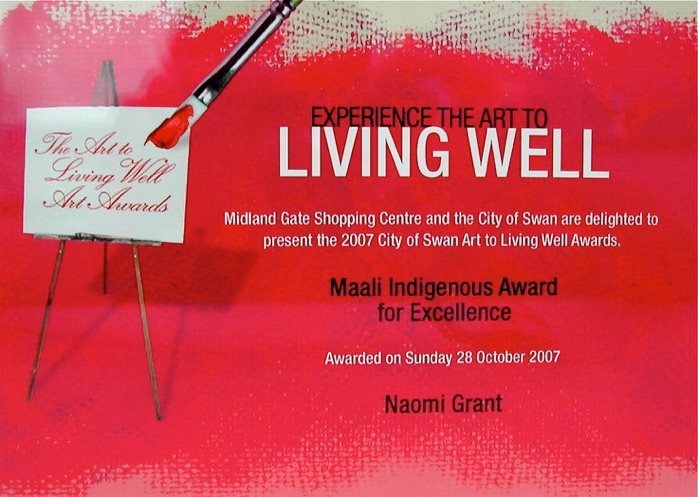 Naomi Grant was this years’ winner of the City of Victoria Park Best Indigenous Art Awards section for 2011. 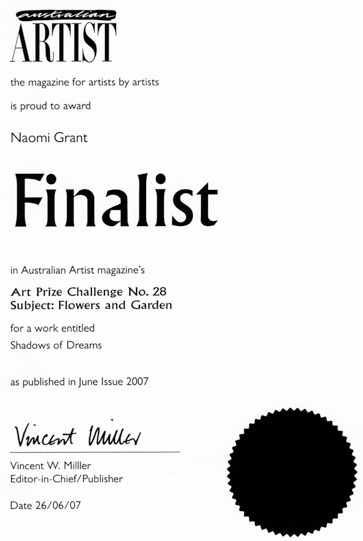 Pictured is Naomi and the award-winning painting Maggie’s waiting. 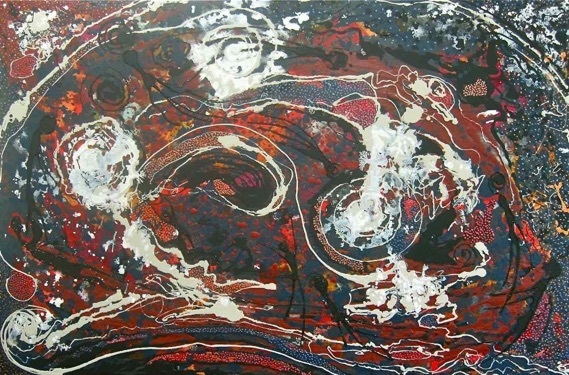 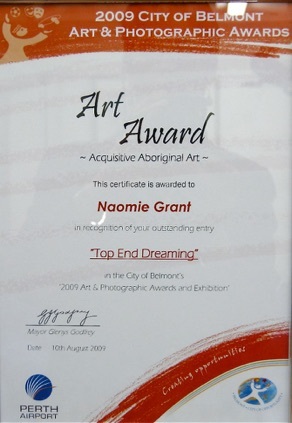 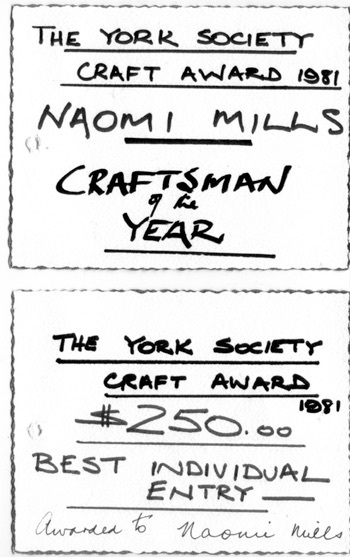 Naomi Grant was this years’ winner of the City of Belmont's Best Indigenous Art Awards section for 2011. 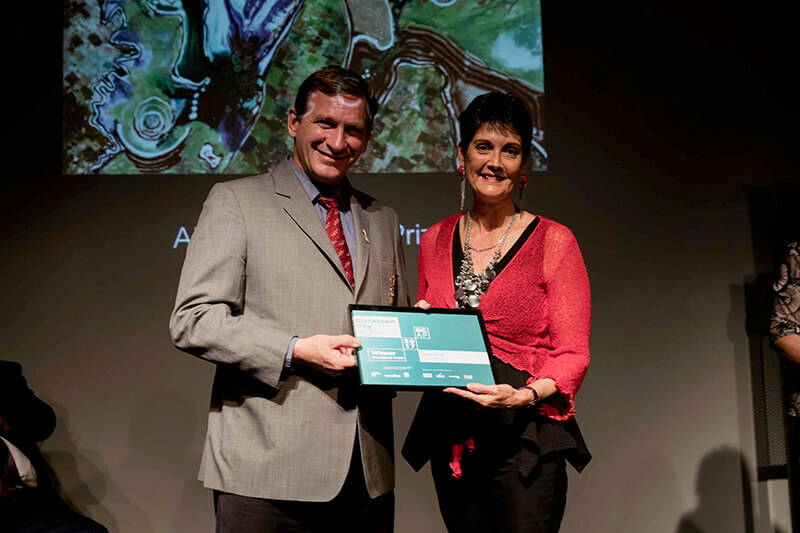 Pictured with Naomi and the award-winning painting Rhythm of the Rocks is Brad Geatches, Chief Executive Officer at Perth Airport. 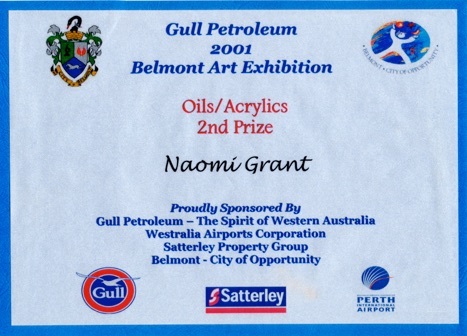 Perth Airport generously sponsored this award.